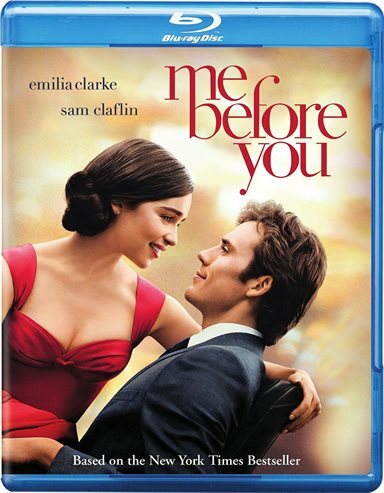 Reminiscent of an older Julia Robert's movie, Me Before You draws you in by the fifth scene and the outcome seems predictable but the ending takes you by surprise. Me Before You is a movie based on the best swelling book by Jojo Moyes. The opening scene starts out with what everyone should avoid- talking on a cell phone and the dangers that happen when you don't pay attention to your surroundings. In the beginning, the story seems to be about a disabled man in need of being shown what life is about and a woman in need of a job, who is determined to show him how to live. Reminiscent of an older Julia Robert's movie, Me Before You draws you in by the fifth scene and the outcome seems predictable but the ending takes you by surprise, and, it turns out, the woman is the one who learns what life is about. Sam Claflin is brilliant as Will Traynor, paralyzed from the neck down, who lives with his wealthy parents. Will's mother (Janet McTeer) hires Louisa "Lou" Clark (Emilia Clarke, Game of Thrones) as his companion/caretaker. Will is sarcastic and determined to have as little to do with Lou as he can. Inexperienced as a companion, Lou is frustrated by Will's disinterest in anything resembling a normal life and hates her job, until a visit by Will's old girlfriend and best friend happen and their news finally elicits some sort of real emotion from Will. And therein, begins the storyline that finally makes Will and Lou see each other for who they are, although it's not until the end of the story that one can realize the full potential and impact of their relationship in the long run. Predictable lower class working girl takes care of moody yet handsome, disabled rich guy and they fall for each other. The movie is well written, if not a classic plot that has been done many times over. Lou's sense of humor compliments Will's sarcasm and makes the two characters blend well together. Her path to save Will's life - both literally and in the theoretical sense - is pleasant and easy to watch. In addition, her genuine and naive love of life seems to almost amuse Will, as his apparent lack of interest in anything slowly disappears. Heroes are found all over and You Before Me has several heroes. Sometimes, they aren't the people who save each other; sometimes, they are simply the characters who let someone do what they feel is right. Beautifully written, the underlying message is strong. The Blu-ray is presented in 1080p High Definition video with a 2.4:1 aspect ratio. The quality is excellent and the colors are soft and clear as befits the setting of this movie. The audio is DTS-HD Master Audio. The score never overpowers the dialogue and even the barest of whispers can be heard clearly. Bonus features on the Blu-ray are an added treat when buying the movie. Viewers can watch the progression from book to screen, outtakes, and deleted scenes. The Outtakes are funny and it's enjoyable to watch the cast making jokes while shooting scenes. Watching the deleted scenes makes someone wonder why they were cut from the movie to begin with, especially since it's so easy to see where they fit into the movie, based in Lou's wardrobe. Book to screen has an interview with Director, Thea Sharrock, as well author and screenplay writer, Jojo Moyes, about developing the storyline and book. Actor interviews also enhance the Blu-ray version of the film. The outcome is not so predicable as it appears in the beginning. Rooting for the underdog changes at the end, and while you wish for a different outcome, the ending is beautifully written - and necessary. Grab a box of tissues and your best friend or partner and sit back and watch a great dramatic romance. Download Me Before You from the iTunes Store in Digial HD. For more information about Me Before You visit the FlickDirect Movie Database.